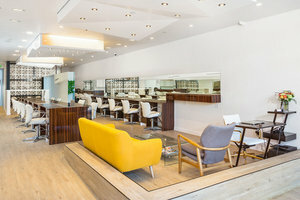 Located in fashionable West Hollywood is this pristine salon. This space is perfect for brands to open a Pop-Up Store or to host Product Launch or Event Events. This salon boutique space has a stylish frontage with a modern window display. 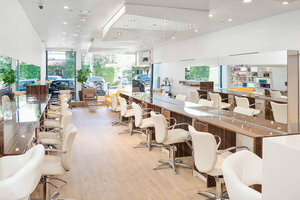 Inspired by a Malibou beach home, the salon’s interiors are open, clean and light-filled with wooden floors, white walls, recessed lighting and tray ceilings. Boasting counters, furniture, internet, office equipment and bathrooms, this space is well-equipped for a variety of events. 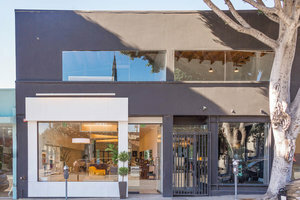 Located just east of La Cienega Boulevard, the salon is ideally situated in one of West Hollywood’s most stylish areas near the Pacific Design Center and celebrated restaurants such as Lucques. This space is a great opportunity to gain exposure in a sought after area with an unforgettable pop-up.